The Baga massacre was a mass killing carried out by the jihadist group Boko Haram in Baga, Borno, Nigeria and other towns and villages nearby between January 3rd and 7th 2015. The troops of the islamistic group Boko Haram conquerred the headquarters of the Multinational Joint Task Force containing troops from Chad, Niger, and Nigeria then forcing thousands of inhabitants to leave the region and committing mass killings. Several western media reported that “over 2,000” people are thought to have been killed. Astrogeographic position for field level 1 which describe the supraregiona international meaning and dimension of the attack as a part of the worldwide war of fascist islamist groups: the town of Baga is located at 15° in earth sign Taurus the sign of agriculture and 15° of water sign Cancer the sign of lakes. The Astrological Chart for the Baga massacre between January 3rd and 7th is calculated for January 3rd 2015 at sunrise for the town of Baga. As no exacter time can be rectified the positions of the astrological houses and the position of the Moon should not be interpreted directly but rather be taken for a careful evaluation of the topic of the day. The astrogeographic position of Baga at 15° Cancer was under heaviest threat by the transiting planets on that day: The Sun at 12° joined Pluto the indicator for all “religious” dogma and fascism in general at 13° Capricorn intensifying the pressure on the town. Uranus transit in a square to the astrogeographical coordinate of Baga at 15° Cancer had been going on since June/July 2013. The “rising Uranus – Pluto square” of 2012/13 was active in an aspect of extreme tension to the town of Baga. The role of Uranus and Pluto in astrological interpretation should be defined through their domains in the twelvefold systemical structural model developed in astrology. Pluto is the planetary indicator for Scorpio the 8th house, organ and principle which is a part of the mental plane and indicator for the aspect of human perception (Pluto). Uranus is the planetary indicator for Aquarius and the 11th house, organ and principle and part of the spirutal plane and indicator for the capacity for reconnection with our full potential (Uranus), the common unconscious and the consciousness about the role of individuals in the overall planetary system and evolutionary process. Scorpio and the 8th organ stand for the capacity to store the experience and sensual perception of moments in time and regulate the activation and relaxation of the defense system. Aquarius and the 11th organ stand for the revolution or turning of the wheel of development through reconnection with our full potentials through abstraction, detachment, emancipation and liberation from existing social, political and emotional conditions. The clockwork of the Pluto – Uranus transits has an important role in the evolutionary process on our planet. As in all planetary transits the Pluto – Uranus process has basically 4 major climax phases: the conjunction, rising square, opposition, falling square, conjunction…. The effective duration of these climax stages should be counted as about 4-5 years plus/minus the date of the climax of the aspects. A conjunction as the initiation and harmonization phase of the 2 different levels of existence. The last 2 conjunction phases ocurred between 1850 and 1851 (foundation of socialism, german revolution of 18 March 1848) and 1965/66 (worldwide student rebellion) brought intense politcal progress with long-term stabilizing effects. The next future conjunction will be in 2104/05. A “rising square” ocurrs when the faster moving planet which is Uranus reaches the square position to Pluto after the conjunction of the 2 planets and on its way to the next opposition. The last time the rising squares ocurred was in 1876/1877 and 2012/13. An opposition stands for the situation when the 2 aspects are in direct confrontation: the dogma systems, beliefs, role conduct, social hierarchies and caste systems (Scorpio) and the capacity for reconnection with the fuller potentials and stimulation of devolopment (Aquarius) have reached a climax of estrangenmment and alienation. The last phases of Pluto-Uranus oppositions ocurred between 1791 and 1792 with the french revolution and the establishment of a fascist system at its climax and the years 1900/01. The next future opposition will take place between 2045/46. “Falling squares” occur as the half time phase in between an opposition and the next conjunction of Uranus and Pluto. The last time the falling squares ocurred in 1819/1820 with the abolition of serfdom and 1933/34 with the taking over of power of Hitler in Germany. The next future “falling square” will ocurr in 2072/73. The attempt to castrate opponents or completely wipe out their lives, culture and identity is a major reflex which in regard to the topics of individual personal development is reflected in the highly symptomatic reflex to desire for castration, humiliation and complete extermination of opponents. The emancipatory and liberational effects of the resonance of the transits of the 2 planets is a major potential of the times of harmonious aspects between the 2 planets such as conjunctions, sextiles and trines. Aspects of tension have the potential of highly ambigous, violent and extremely negative outlooks on the human rights situation. 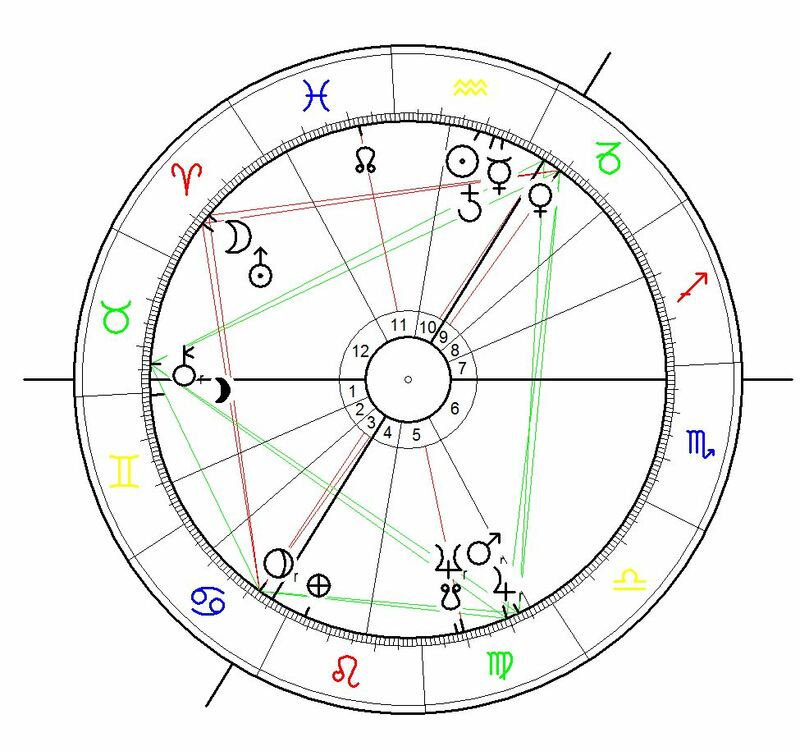 Astrological Chart for Hitler´s Appointment as Chancellor of Germany by Hindenburg on 31 January 1933 calculated for 11:15. Berlin. The rising and taking over of power of fascism in Germany between 1931 and 1934 is one of the most negatively symptomatic events in history that could be used to document the motives of a Uranus – Pluto square transit. It is the clearest indication for the representative role of that constellation for fascism in general. 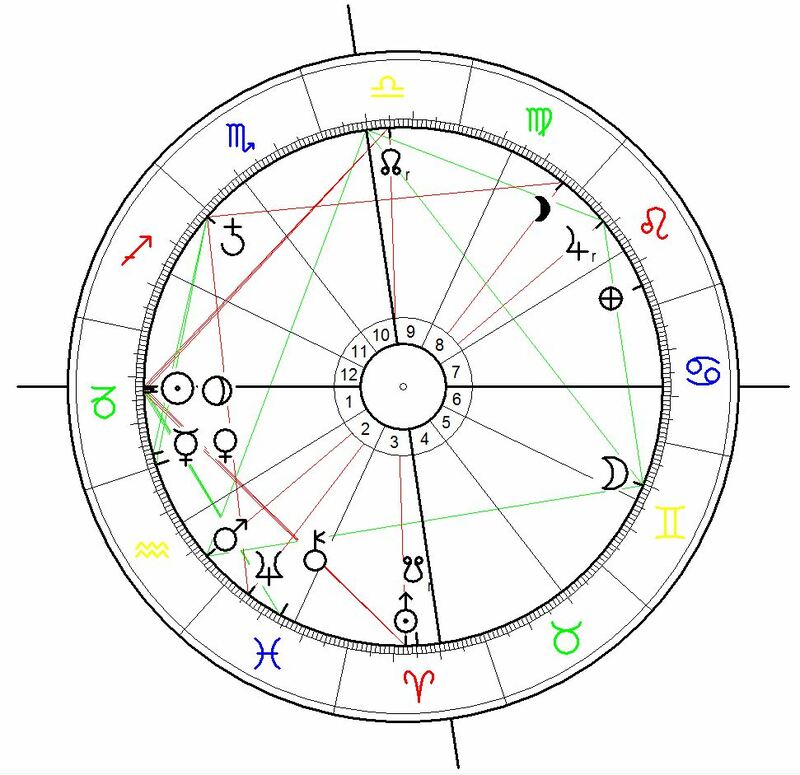 As can be seen in the chart at the moment of Hitler`s appointment as german chancellor the Moon at 17°37` Aries was joining (supporting) Uranus` at 19°55` Aries in a square position with Pluto at 21°57`. Uranus appears as a supporter of the new fascist government, although of course we have to be aware that Uranus on other occasions could also support antifascist groups in their struggle for liberation from fascism. The momentum of rebellion although definitely a positive aspect in itself can turn out to lead into even much more repressive political systems – as in the case of the French Revolution which took place in the course of the Uranus – Pluto opposition of 1790/91. The Moon and Uranus conjunction on 31 January 1933 in Aries the sign of german culture at the climax of the “falling Uranus-Pluto square” included its square planet Pluto thus indicating the momentum of the ideological overwriting and destruction of german culture along with the extermination of the country`s potential as a european superpower. 1 Pluto the planet of mental perception, patterns, self-defense and indicator for the role of a system in the hierarchy of a group was challenged through Uranus` questioning of the existing hierarchies. In german fascism it was the middle classes joining fascist organizations trying to challenge the ruling upper classes. To some extent the rise of the middle classes included the confrontation of the inheritance from the monarchic and aristocratic period which had left its imprint on society over 1300 years. The process of transition and liberation from the aristocratic period had lasted about 140 years – starting with the french revolution and the abolishment of serfdom in Germany as an effect of the french revolution and the french occupation of Germany through Napoleon Bonaparte. The process of the abolishment lasted between 1799 until the year of the “falling Uranus/Pluto square” in 1820.